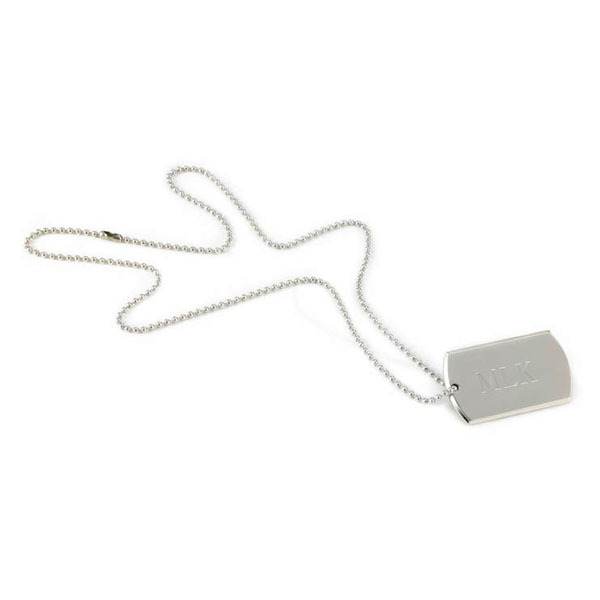 DETAILS: This shiny beveled-edge nickel-plated dog tag is a casual yet classy addition to anyone's jewelry collection. The tag includes a long chain and its classic style is suitable for both men and women. PERSONALIZATION: Personalize with three lines of up to 20 characters per line.